This month we are recognising two amazing crimefighters that are really making an impact on preventions and resolutions in their communities. They show us just how being proactive in collaborating with other crimefighters in your community can drive incredible results! Well done team. We’re so excited to recognise Guy Curtis and the Christchurch Crimefighters he’s worked with recently to arrest a prolific, recidivist shoplifter in the Christchurch area. He’s worked hard to collaborate with local retailers and the results have paid off - with 23 charges laid and this person remanded in custody. Who helped with the investigation? It always is a team effort in this line of work - we’d love to thank all the local retailers who have encountered this offender, and their efforts in reporting these incidents to such a high quality. This has helped us prioritise this particular person and their offending so we can efficiently and effectively action it. How do you use Auror in your everyday role? I use Auror everyday for my role in Youth Crime, as it provides awesome intel around young offenders who may be becoming involved in crime in the area. We try to utilise this intel to prevent their offending from escalating - as they say, shoplifting (or volume crime) can be a gateway to more serious crime. Regarding our recent case, we used Auror to identify the scale of this particular person and their offending, compiling files from Auror, flagging him as a priority offender and working to prepare his prosecution file proactively. How do you collaborate with retailers, and how can they help with future investigations? When a small group of people collaborate together it doesn’t take long for successful outcomes to be achieved. This is paramount for retailers - if they can report incidents as soon as they occur, it makes our job a lot easier in apprehending these offenders. Quality of information is also valuable and Auror provides a fantastic platform to help retailers with this. Our local retailers are becoming more and more proficient in reporting these matters which is making our job easier in apprehension. Retailers using Auror also helps us when it comes to compiling valuable evidence for prosecution. The technology enables police to have data at their fingertips, such as CCTV footage, reports, and intelligence that police can utilise in combination with their own platforms and sources. What advice do you have for Crimefighters encountering other recidivist offenders? Whilst, as police, we acknowledge people are busy enough in their day to day activities, but preventing these offenders where they can is the best way to get on top of this type of offending! Troy is a passionate and proactive crimefighter who we're super excited to recognise this month! He's been diligently working with his local police and community to ensure they're doing all they can to prevent crime in their area and it's paying off. Well done Troy! Can you share with us any success stories you’ve had lately? Pre-Auror, we had a repeat offender who had committed over 40 offences but we had no real way of tracking it. Once Auror was implemented, we were able to start adding this person's incidents into Auror and build out a case. We saw that they had been active at other locations and were able to add these incidents to their profile. From here it was easy to work with the police as we had all the information needed. It helps us be proactive in preventing crime before it happens! How has Auror improved how you tackle crime? We are now able to learn about people that are active in other centres near us, who we haven’t previously dealt with. This makes it easier for us when they come into our centre - we can provide great customer service and once they’ve been spoken to (even just to say hello) they normally leave promptly! What excites you the most about using Auror for crime prevention? Being able to link offenders, build profiles and working well with the police makes our job so much easier. We work closely with Auror and the police to connect the dots on repeat offenders. Auror helps unite security companies and other members of the community. We become one big team trying to achieve the same goal! Best prevention tips for the community? Our focus is on prevention and being able spot anti-social behaviour before it becomes a problem. We focus on being friendly and proactive when interacting with everyone at our centre (including people who are known offenders). 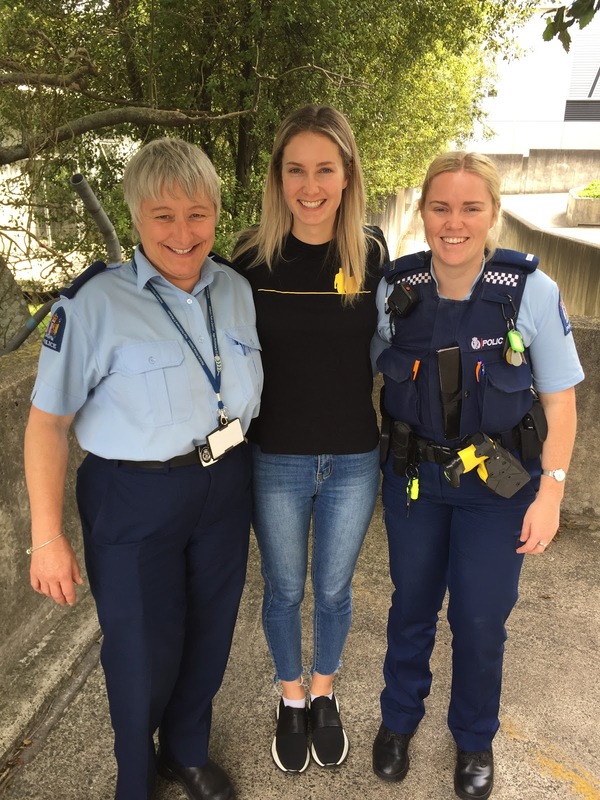 This month, our New Zealand community team were on the road, visiting Crimefighters in Taupo and Hamilton. 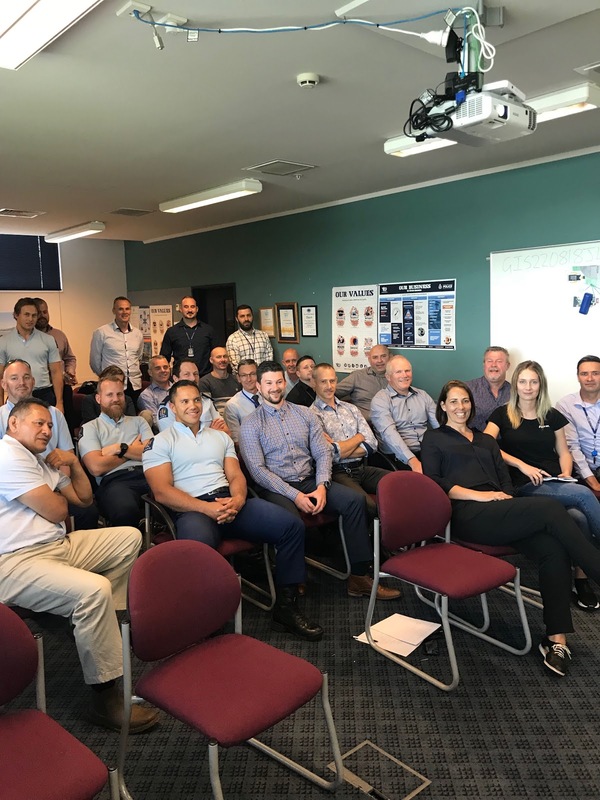 We were excited to meet the teams who look after investigations (volume crime and serious crime) and tactical crime from Taupo and Tokoroa. We chatted all things Auror and are excited to see them active across the Crimefighter community! We also caught up with the Hamilton police ISU (Investigation Support unit) who gave us a sneak peek into their day to day investigation operations. 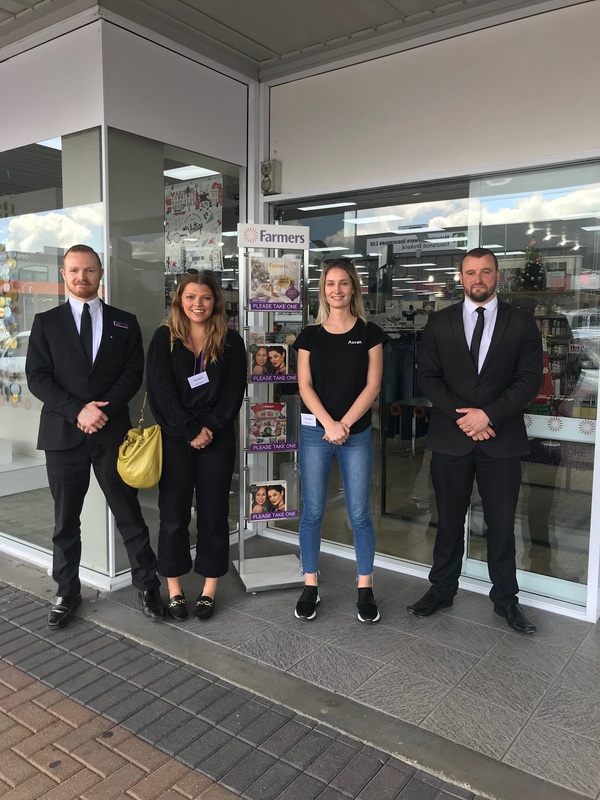 We were also able to drop in and catch up with the awesome teams at Farmers and Hunting & Fishing in Taupo, and the teams from Mitre 10 Ruakura, Te Rapa and Cambridge! It was great to catch up with you all. If you’d like to follow suit and set up an Auror training session at your local station or for your store, get in touch with the community team.